I have been super busy. I didn't even realize that I hadn't used my August Paper Pumpkin Kit. 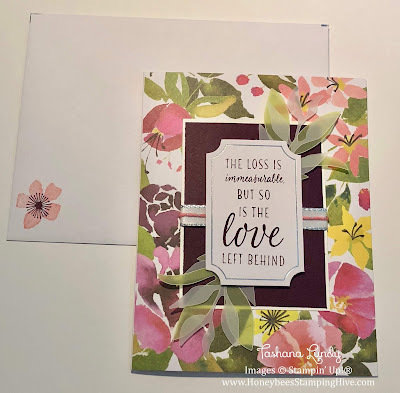 One of my friends lost her sister and I needed to make a sympathy card. 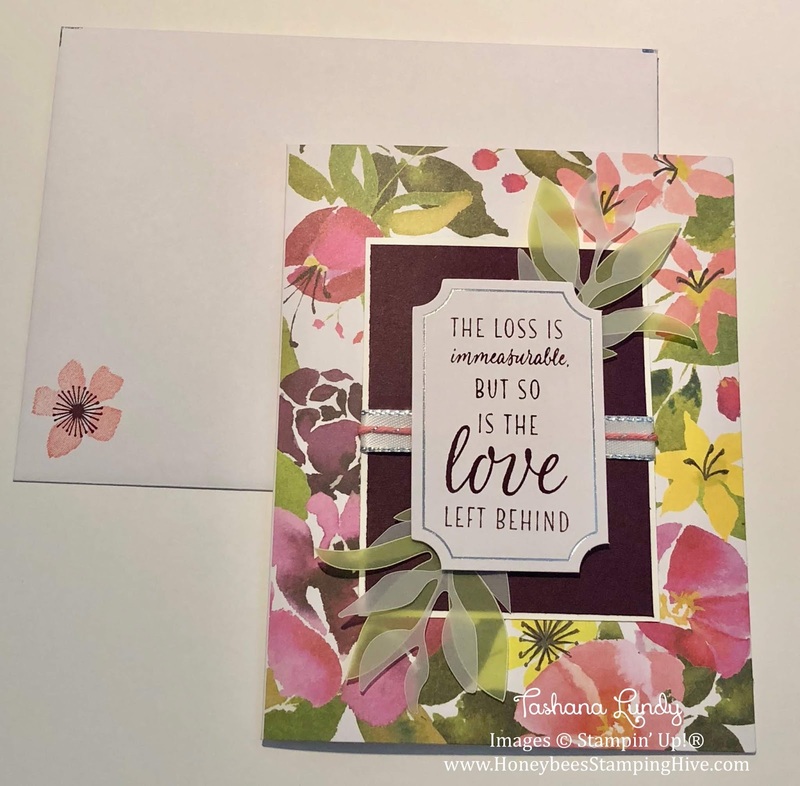 I searched Pinterest and found a card very similar to this one. I changed just a few things. This kit is super gorgeous. I will have to play with it more when I find some time.